Let your creativity flow with Kawaii Expressions Sticker pack, made by the Korean company Sticker World, these high quality stickers are perfect all ages. Each pack of stickers comes with two sheets for maximum sticker fun. Sticker sheets are made of translucent plastic, so you can stick them on glass or shiny surfaces as well and can be reused over and over again. 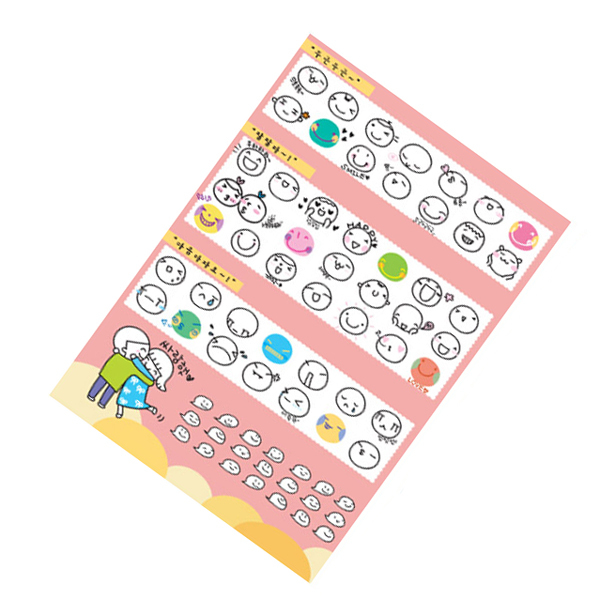 All of the stickers feature cute kawaii faces, some in the style of emoticons while others are well, just kawaii! Spread a little love with these cute stickers. Not suitable for children under 3 years due to small parts.Colours may very, designs send at random.